The training took place from 24 till 26 June 2018 in Amman – Jordan. It aimed to raise awareness, among decision makers and the public in general, on the difficult living and working conditions of migrant workers, the violations of their human rights and various forms of human trafficking, in order to enhance the readiness of decision makers to discuss these issues. The training tackled the following topics: definition of migrant workers, the local, regional and international frameworks regulating migrant workers, the relationship between migrant workers and modern forms of slavery, human trafficking, sensitive language and media glossary, national legislations on migrants and human trafficking, violations against migrant workers. 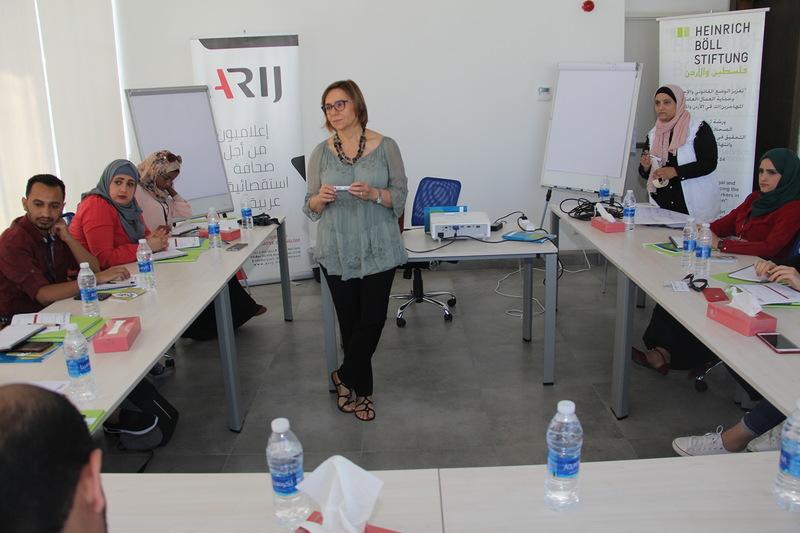 The participants also learned about different reporting formats and methods and the difference between traditional news reporting and investigative journalism. Practical sessions and exercises were conducted to guide participants in researching a story, preparing for a press conference/interview, selecting an investigative idea, writing/producing a report.